Julian fell in love with kayaking on his first run of the Futaleufu River in Chile when he was 17. He has been in the whitewater industry ever since. 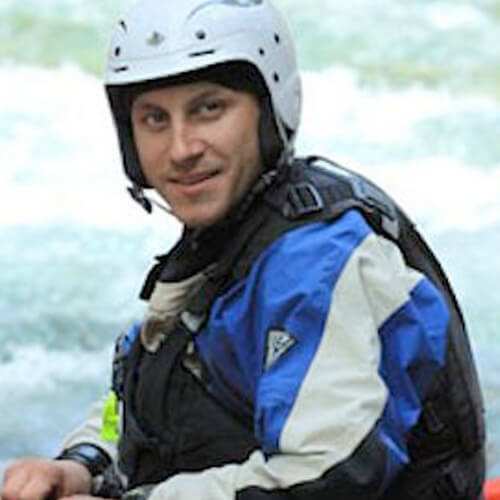 Julian has worked as a rafting guide and kayak and canoe instructor in Canada, the United States, Mexico, Zambia, Argentina, Chile and Costa Rica. In 2011 Julian and his wife, Katie, started Paddle Patagonia, a whitewater adventure and training operation in Argentina. As a rescue instructor, his positive attitude, high energy, and attention to detail make him a favourite of his students. When he’s not running waterfalls, guiding trips, or instructing courses, you can find Julian spending time with Katie and their kids Teo and Emma, and building their house in Argentina.